Dr. Neeraja Dasari explains the various breast cancer treatment options available today. 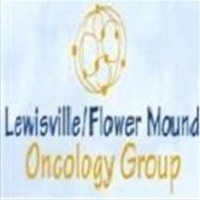 Lewisville, TX, July 24, 2018 – Whenever breast cancer diagnosis is mentioned, every woman shudders. Every day one in eight women are diagnosed with breast cancer in the United States alone, and this makes the diagnosis a frightening experience. The treatment of breast cancer depends on the stage of detection. Early detection and diagnosis will ensure effective treatment and an eventual cure. Surgery – Surgery entails removing the tumor and some of the surrounding healthy tissue when a patient undergoes an operation. A lumpectomy will be performed to remove the tumor or doctors will suggest a mastectomy to remove the whole breast surgically. MammoSite Therapy – This is a treatment for patients who are in the early stages of breast cancer. MammoSite therapy is administered after a lumpectomy, and it is a form of radiation therapy where radiation is directed to the tumor spot using a balloon. It takes only five days and reduces the chances of the recurrence of the disease. Radiation therapy – It is given after surgery or chemotherapy and lowers the recurrence risk of breast cancer. Neoadjuvant radiation therapy is given before surgery to shrink the tumor and make it easier to remove. Adjuvant radiation therapy is the most commonly used after chemotherapy or after surgery. Chemotherapy – It is where drugs are used in destroying the cancer cells and prevent them from growing. It can be administered before or after surgery. “Regular clinical examination for breast cancer is emphasized, especially for patients with risk factors such as age or family history,” Dr. Dasari added. "It will help in the effective treatment of cancer."